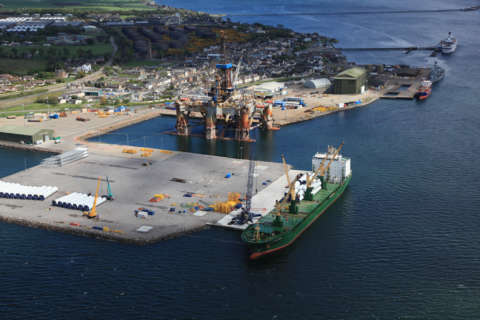 Headquartered at Invergordon, the Port of Cromarty Firth is home to 6 key marine facilities, of which the Port of Cromarty Firth is the statutory Port Authority. These facilities include Highland Deephaven Industrial Estate and Spoolbase, Admiralty Pier, Saltburn Pier, Nigg Oil Terminal, Nigg Energy Park and Invergordon Service Base. These facilities combined offer over 2,000 metres of quayside with water depths up to 14 metres, a dry dock, a wet dock and sheltered anchorages up to 30m in depth. A proven supply chain of worldclass energy sector service companies is on hand to fulfil rig IRM, StS transfers, decommissioning projects, subsea fabrication, renewable energy projects and support the visiting cruise vessels. The facility is in close proximity to the Beatrice and Moray offshore wind farms and is capable of providing all marine services for the construction and maintenance phases of these projects. The Port has also handled the decommissioning of semi-submersible rigs, renewable energy turbines and subsea manifolds. 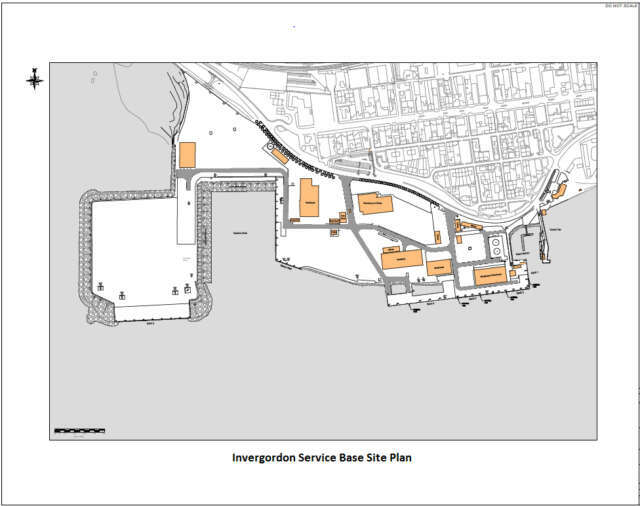 The Invergordon Service Base was constructed in the 1980s and lies at the heart of the Firth. It is owned and operated by the Port of Cromarty Firth. The array of companies available ensures you receive an efficient, cost-effective and comprehensively managed project, delivered by an experienced team of people highly skilled in cargo handling, logistics and offshore fabrication, maintenance and repair. The Base provides over 800 metres of quayside with water depths up to 14m, including a wet dock. 45 acres of laydown space is available, plus storage, warehousing and car parking for up to 320 vehicles. The Port is accessible in any weather conditions; providing a truly year round facility. An experienced supply chain is available to provide stevedoring, rigging / slinging, craneage, forklift, ships agency, tugs and other port related services. In addition Pot of Cromarty Firth can provide water, fuel, storage rental, hard standing project area rental and office rental to third party companies. A further 350m quayside space currently in the early stages of planning. Inspection, Repair and Maintenance (IRM) of mobile offshore drilling units and subsea projects.